The total amount of non-oil trade exchange between the UAE and Italy has exceeded $7.8 billion during 2017, the UAE economy minister Eng. Sultan bin Saeed Al Mansoori said. 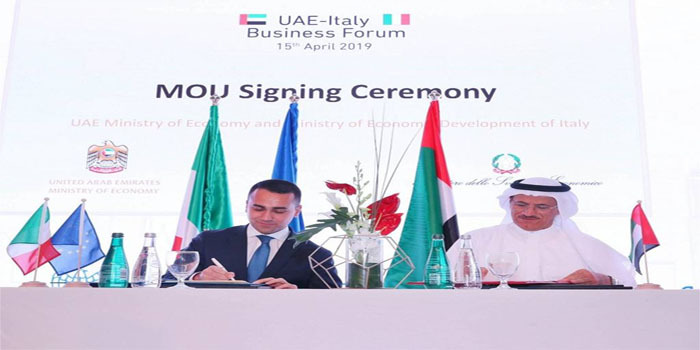 The trade exchange between the two countries has registered an amount more than $5.7 billion over the first nine months of 2018, with an increase of 7.7% in the UAE’s exports to Italy when compared to the corresponding period in 2017, the UAE official concluded, during the UAE-Italy Business Forum.